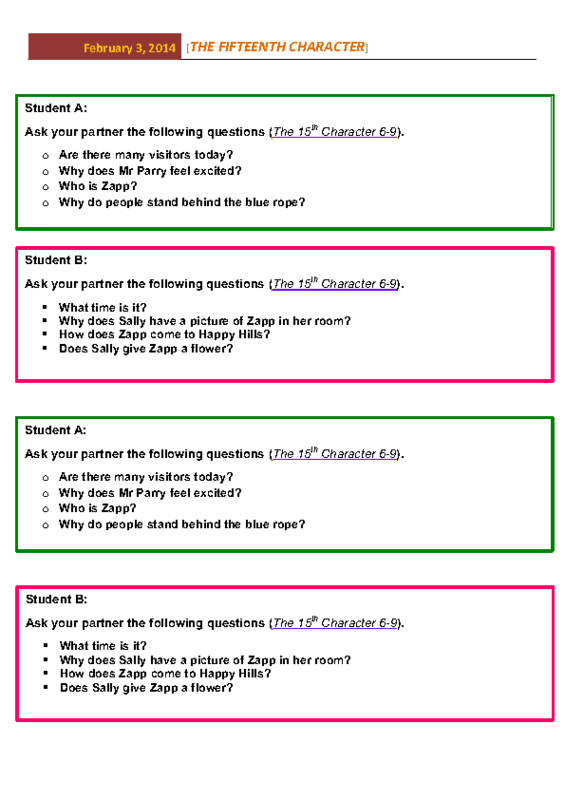 This worksheet is based on The Fifteenth Character (Oxford Bookworms Starter). It includes some questions based on the second part of the story book (pages 6-9). 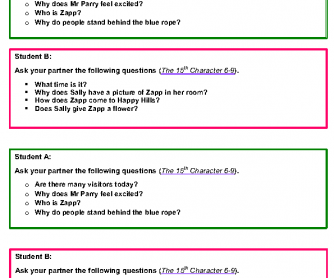 Put the students into pairs and encourage them to ask one another the questions. Hope it helps.